BOSTON — For many runners, third place in the Boston Marathon would be an end in itself: a career-defining accomplishment, a result to be celebrated. But the Nike Oregon Project has always set bigger goals. American records, world records, Olympic medals. Before she had even finished her first marathon in 18 months, Jordan Hasay was thinking about next year’s Olympics in Tokyo. 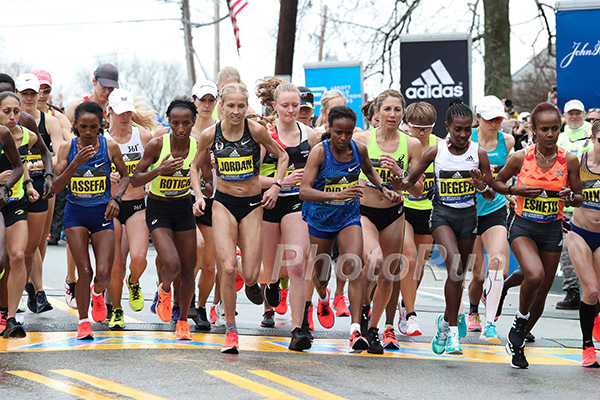 As she battled Ethiopian Meskerem Assefa for third place in the 2019 Boston Marathon on Monday — a battle Hasay would win in 2:25:20 — she thought about how it would better prepare her to climb the podium a year from now. Ninety minutes after the race was over, the top American finishers were trotted into a ballroom in the Fairmont Copley Plaza Hotel for the post-race press conference. For most of those finishers, it’s a time to reflect, and mark the beginning of a well-deserved break from the sport. Des Linden, last year’s champion who finished fifth this year in 2:27:00, took the occasion to crack a 26.2 Brew from Marathon Brewing Company, swigging a few gulps before exiting the stage. But as Hasay sat on the podium, she wasn’t thinking about the traditional rewards that accompany a successful marathon — what kind of adult beverages she’d imbibe, what kind of comfort food she’d dig into. She was thinking about running faster, about addressing the weaknesses that two separate stress fractures in 2018 had created. Hasay knows that too much, too soon is the attitude that caused those stress fractures in the first place. Reluctantly, she will take some time off. But her next goal is already firmly in mind: breaking Deena Kastor‘s 2:19:36 American record at the Chicago Marathon in October. Chicago this fall is an interesting choice. 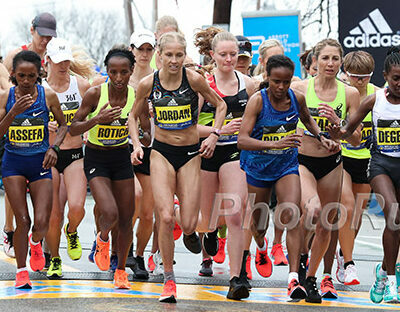 Hasay already has the Olympic standard, thanks to her top-10 finish in Boston; many American marathoners in her position would choose to skip a fall marathon to focus completely on the Olympic Trials, to be held in Atlanta on February 29. But Hasay is always looking forward. Chicago isn’t just an American record attempt; it’s a chance for her to get another racing rep before an even bigger race, the Olympics. Holding back has been difficult for Hasay in races as well. When Worknesh Degefa threw in a surge early on, covering miles 4-9 in 26:27 (2:18:41 marathon pace), Hasay chose to let her go, but she felt unsure whether she had made the right decision. 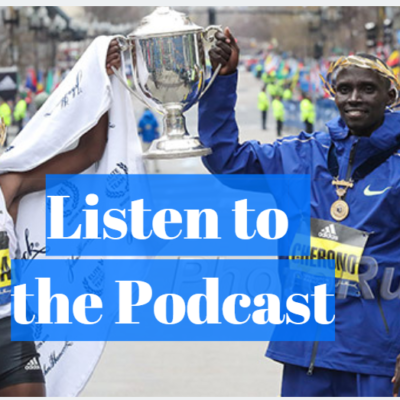 Her coach Alberto Salazar had told her before the race not to go with any early surges faster than 5:10 mile pace; Degefa hadn’t gone quite that fast (her fastest mile in that span was 5:13), but it was a significant move early in the race. It was only when Linden, running next to her, told Hasay that she was doing the right thing that Hasay began to feel confident in her decision. Hasay made the right decision today — she was not yet fit enough to run with Degefa, who went on to win the race in 2:23:31. 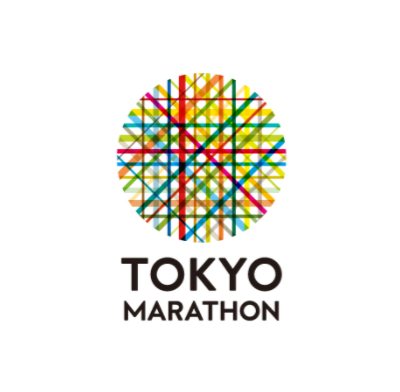 But that doesn’t mean it will be the right decision next year in Tokyo, when Hasay will — if all goes according to plan — be a fitter, stronger runner. Perhaps the Hasay of 2020 will be able to counter that move. And that, too comes with experience: knowing which lesson to apply at the proper time. 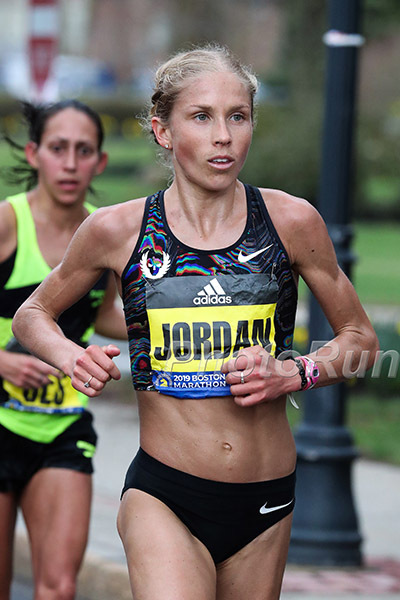 Jordan Hasay, elite marathoner, is back. After her run in Boston today, that much is clear. But for an athlete who is always looking forward, the more interesting question is: where will she go from here? Talk about Hasay’s run on our messageboard. MB: Let’s pump the brakes (a little) on Hasay’s 3rd place finish. On a day with good weather, only 2 women broke 2:25 in Boston. Correction: The original version of this article stated that 26.2 Brew is brewed by Sam Adams; it is in fact brewed by Marathon Brewing Company.